The 2016 election cycle was one of the most divisive periods in recent memory. But in the midst of a depressing election cycle, a few figures rose to prominence as beacons of light in the darkness. One of those men was Dr. Russell Moore. Moore has served as President of the Ethics and Religious Liberty Commission of the SBC since 2013, but only gained wider public attention in the past year. He has been widely praised for his tireless work in favor of racial reconciliation and his winsome engagement on political issues ranging from abortion to the refugee crisis. Since Trump’s win in November, tensions have been quietly building in the SBC. Moore’s opponents have called for his firing, claiming that his criticism of Trump will leave them “without access” to the Oval Office. But since when has our mission as Christians in the public square been to “gain access?” Jesus told us to speak truth, share his love, and make disciples. I can’t find a single verse where Jesus or the apostles found it necessary to tone down their message in order to preserve their political clout. On the contrary, Jesus always spoke truth to power, and encouraged his followers to do the same. Regardless of whether you support Trump, you should at least be able to agree that Christians have a responsibility to speak truth to power and hold our leaders accountable. You should be able to agree that maintaining a clear, faithful Gospel witness in the public square is far more important than maintaining a presence in the Oval Office. 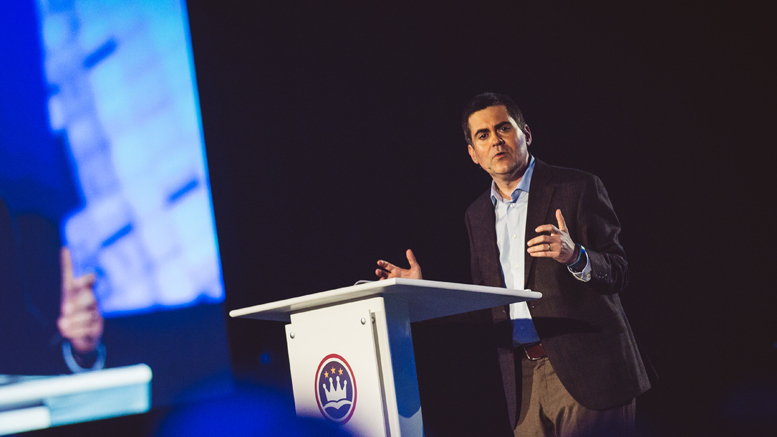 Russell Moore has been nothing but faithful to the Gospel in all of his work. He is a deeply caring individual who has worked tirelessly to reach minorities with the Gospel, promote adoption, and bring attention to the plight of persecuted Christians worldwide. Speaking as a younger Southern Baptist, I can testify that Dr. Moore has reached my generation and drawn us into the church in a way few Christian leaders have. To fire Moore now would send an incredibly disappointing and disastrous message to the watching world – that the Southern Baptist Convention cares more about access and power than they do about the Gospel witness of the church. For generations, Christians have always been accused of only wanting political power. Firing Moore for not gaining enough power would only prove these critics right. Writing at The American Conservative this morning, Rod Dreher laid it out clearly: “If the Southern Baptist Convention fires Russell Moore, it will do grave damage to its witness & its future.” Firing Moore would alienate many in the minority community who have greatly appreciated Moore’s willingness to tackle difficult issues such as racism and racial reconciliation in the church. The move would hurt the church for decades to come, as a large part of Moore’s following is made up of younger Christians who appreciate Moore’s outreach to their generation. And finally, it would discourage so many weary souls who are searching for truth and consistency in a world of moral relativism. To fire Russell Moore would be to extinguish a beacon of truth and powerful Gospel witness that has been set on a hill for the world to see. The world needs more men like Dr. Moore, not less. This is no time for petty arguments over personality or politics. The world needs our witness for Christ more than ever before, and they need to see and feel the love of Christ in our every action. It is my prayer that truth and reconciliation will prevail.